Automatic vs manual trading strategy. No greedy no challenge. Just slowly grow up. With small investment. Must be real. Our best aim to provide you better return than bank deposit. This project to help people who support us. Strategy : Simple no any crazy techniques. No news event, no indicator. Nothing. We research all the way and loser and loser. So our strategy is something what people never understand. Just best profit in our only aim. Even trade no big loss possibilities. We research 40 years Forex history. And make our strategy with best solution. Minimum requirement for follow us : 500$. Must be highest margin as possible. Recommended 1:500 higher is better. if your margin changing make sure during trading. You must have balance to keep margin correctly. Example, if we trade 0.10 lots. And your margin changing automatically for 30 min. Then you must need 500$. Depend on leverage. When margin change possible, it will be 1:200 . And margin requirement 60$ or so. . It's a simple, profitable trading system. No greedy no challenge. Just slowly grow up. With small investment. Must be real. Our best aim to provide you better return than bank deposit. This project to help people who support us. Strategy : Simple no any crazy techniques. No news event, no indicator. Nothing. We research all the way and loser and loser. So our strategy is something what people never understand. Just best profit in our only aim. Even trade no big loss possibilities. 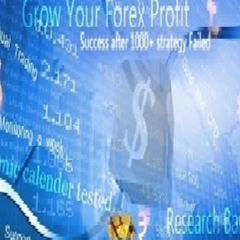 We research 40 years Forex history. And make our strategy with best solution. Minimum requirement for follow us : 150$. Must be highest margin as possible. Recommended 1:500 higher is better. if your margin changing make sure during trading. You must have balance to keep margin correctly. Example, if we trade 0.10 lots. And your margin changing automatically for 30 min. Then you must need 500$. Depend on leverage. When margin change possible, it will be 1:200 . And margin requirement 60$ or so. . Always Research until help Billionaire people.